Arguero Cocktail From The Saint – Drink. Food. Home. This has to be one of my favorite cocktails! 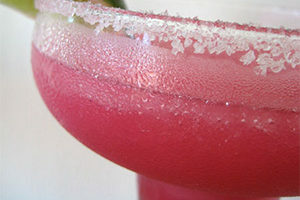 I first tried this at The Saint Tequila Bar here in Seattle. This is a very refreshing cocktail thanks to the Ginger Beer. 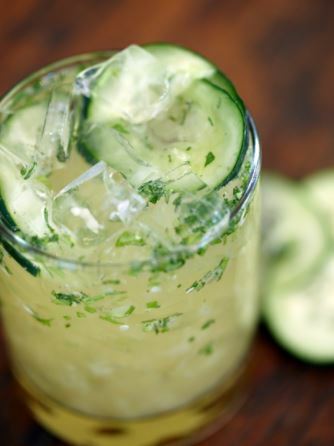 In a cocktail shaker, combine several cucumber slices and slices of Serrano pepper with fresh squeezed lime. Add in Tequila. Shake well and pour over ice. Then top with a good splash of Ginger Beer. Salud to this refreshing tequila cocktail! I loved going to The Saint in Seattle. Last time I was by, it looks like it was closed. I verified on their website that it closed at the end of August. 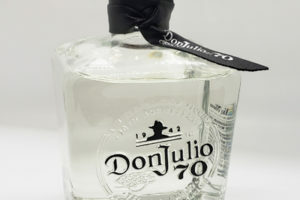 Now where do you go drink good tequila in Seattle?